A VPN, Smart DNS and Proxy Server can each provide you with added layers of security to protect your privacy online, or help you to access services which are locked to specific regions. By encrypting, decentralizing, relocating, and generally masking your personal information while you’re using the internet, these services protect you from the seedy underbelly of the online world and give you access to content that is otherwise unreachable. 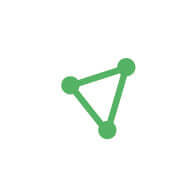 VPN – Virtual Private Network. These services re-route your internet connection via a remote server, anonymising your web browsing for greater privacy and security, and letting you access region-locked content. DNS – Domain Name System. A Smart DNS lets you make it appear as if you’re connecting via a different region. This is great for accessing region-locked content (such as Netflix from another country) but has no privacy benefits. Proxy Server – This works along similar principles to a VPN, but is more limited, has less privacy assurance, and is more technically complex to set up. Protecting your privacy online has become quite the movement in recent years. Between the onslaught of online scams and the unsure footing of net neutrality, making sure your online experience is free from online hacks and privacy traps is more important than ever. And, depending on your specific needs, using a VPN, DNS, or Proxy could do the trick. So how are you supposed to decide between these three online security services? Well, understanding what they are, what they do, and how they work is certainly a good start. VPN vs Smart DNS or Proxy – Which is Best? What is DNS and What is a Smart DNS? VPN vs DNS vs Proxy – Which is Best? Of the three options, a VPN is the smartest choice. A good quality VPN can offer the best possible balance of security, ability to access region-locked content, and good old-fashioned ease of use. Smart DNS services and Proxy servers are a ‘quick fix’ way to protect your privacy online, but they’re far from perfect. Yes, Proxy servers can hide your IP address, and Smart DNS services can hide your geolocation, but that’s about it. If you really want to take online security seriously, getting a VPN that suits your particular needs is absolutely key. If you’re comparing their ability to unlock restricted avenues on the web, keep your privacy safe, and generally make your online experience a little safer, VPNs are unmatched. The best VPN services give the highest levels of security to make sure you don’t have to worry about being tracked online. They’re usually easy to set up, with clear instructions and well-marked icons to let you know how to connect to a remote server. Best of all? VPNs are perfectly affordable, too. A virtual private network (VPN) can protect your privacy online by masking your true internet server address. Your browsing and downloading activity is anonymised, and it can appear as if you’re connecting to the internet from a different location or even a different country. Let’s explain this in practice. Scenario 1: You’re a U.S. Netflix user, on vacation in Europe, and want to watch your usual programming. Normally, Netflix would detect you’re in an overseas country because of your IP Address. However, by using a VPN (and selecting a U.S. server from its options), Netflix will see you as just another U.S. user and allow you to access its services. Scenario 2: You’re concerned about privacy and security online, and want extra peace of mind when connected to the internet. A VPN is perfect for this. You could even enable a VPN on your phone for extra security while you’re connected to a public WiFi hotspot. By creating secure “tunnels” between servers, VPN users can access sensitive data free from prying eyes. This encrypted tunnel channels your own internet connection via a remote server – in effect, you’re accessing the internet via that server. This provides a protected avenue that can be used by anyone, from employees looking to access company data off-site or individuals simply looking to guarantee their privacy online. In addition to hiding your IP address and geolocation, a VPN fully secures all your information across any and all platforms you use. You’ll be thoroughly protected from all those pesky hackers and scammers out there, plus you can access streaming services that require you to be in a certain country. Still stuck? No problem – see our detailed explainer guide, What Is a VPN? The Domain Name System (DNS) is the method by which the internet translates domain names into IP addresses. Your local DNS essentially keeps track of what region your computer resides in. Scenario 1: You want to access Netflix or a similar region-locked steaming service from overseas. A Smart DNS can help you do this, by making it look like you’re in a different country to the one you’re really in. Scenario 2: You’re privacy conscious and keen to anonymise your browsing and download activity. A Smart DNS is not the way to go, as these services aren’t as privacy-focused as a VPN. A Smart DNS service is essentially your own private DNS that works beyond these regional restrictions, effectively tricking services such as Netflix, for example, into thinking you’re in Europe rather than the US. The advantage of this is it gives you access to shows and movies otherwise blocked on your local DNS. Beyond this though, Smart DNS services don’t provide much in the way of protecting your privacy online. A Smart DNS isn’t free. The prices can end up comparable to what you’d pay for a good VPN – but you’ll get fewer benefits. Remember, a Smart DNS isn’t free. Though you can usually get a free taster for 7-days or 14-days, as with Smart DNS Proxy, the prices can end up comparable to what you’d pay for a good VPN – but you’ll get fewer benefits. If your goal is to protect your privacy online, Smart DNS services are not the way to go. DNS does nothing to actually encrypt or hide your IP address or other personal information. It just changes the geolocation of your device. If you’re looking for an alternative to a VPN that will actually hide your IP address, a Proxy server can help. While it’s not nearly as all-encompassing as a VPN, proxy servers do provide a limited gateway that allows users to privately use the internet. Scenario 1: Accessing Netflix while abroad – success! A Proxy Server can help, so long as you’re able to set one up. Scenario 2: Masking your data because of privacy and security concerns? Again, a Proxy Server can help with this. But it’s a complex way to achieve this goal for most users. Rather than creating a secure tunnel the way a VPN does, a proxy server creates an encrypted middleman between the user and website. This hides your IP address, your geolocation, and the rest of your personal information. The proxy server has its own IP address and geolocation that is not rooted in regional restrictions, allowing you similar access to international streaming services as a Smart DNS or VPN. For novice users, a setting up a Proxy server will feel quite unwieldy, compared to the simple icons and instructions you’ll get on a good VPN. However, where Proxy servers fall short is in their usability. For novice users, a setting up a Proxy server will feel quite unwieldy, compared to the simple icons and instructions you’ll get on a good VPN. Proxy servers slow down internet speeds substantially, as every request must go through the Proxy server before getting back to you. You may find that you can set up a proxy service that will work while you’re using a web browser, but it is far harder to enable a proxy for your computer as a whole (eg while running apps and programs on it). Plus, you don’t have the same intensive levels of protection that come with a VPN, which, if you’re specifically targeted, can lead to some serious security issues. Hopefully, this guide has made it clear that if you value privacy and security online, or wish to access overseas streaming services, then a VPN is the best choice you can make. 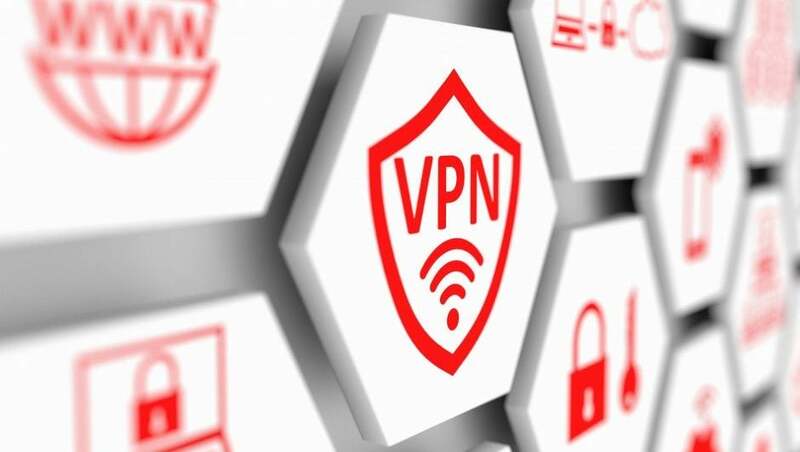 But, not all VPNs are created equal, and it’s important to pick a trustworthy, easy-to-use VPN that won’t cost the earth. VPNs vary greatly in level of protection, number of features, and general ease of use, so doing a little research is important. Whether you need enterprise level protection for a big company or simply want to make sure you won’t fall for a phishing scam, one of these VPN services will have exactly what you’re looking for.